The International Monetary Fund’s Christine Lagarde, maintains her position that the Greek debt does not need a haircut but instead requires low interest with long maturities. She also reiterated that debt restructuring is a basic requirement for the participation of the Fund in the Greek program. 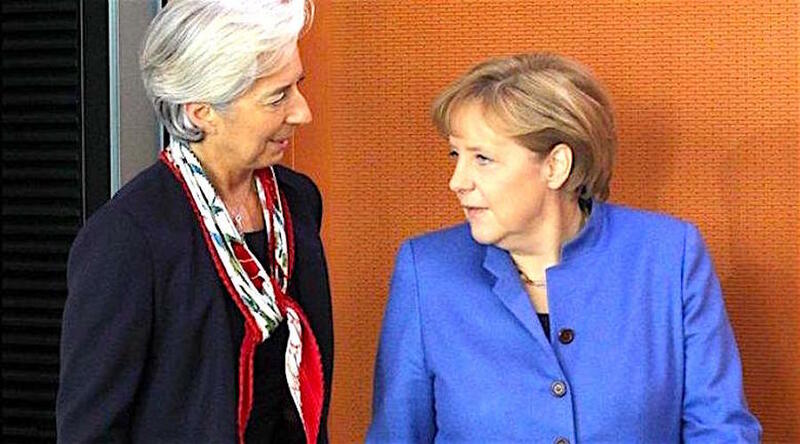 Speaking after meeting with Angela Merkel in Berlin, the head of the IMF also said that the Fund has requested pension reforms, adding that Greece has already had enough austerity and the challenge is to ensure that the Greek economy can stand without external assistance. However, the bar of expectations has been lowered in order for an immediate decision as regards to the IMF’s participation in the program, because, as she said, there is still a lot of work to be done before a specific plan can be presented to the IMF board.